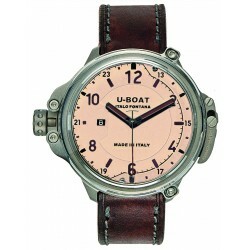 The U-Boat watches are all unique and all designed and handmade in Italy. 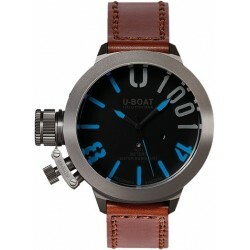 These beautiful watches are designed by Italo Fontana. 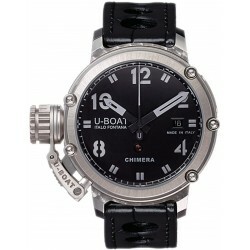 SignStimepieces sells only original U-Boat watches, that come with a U-Boat watch box, warranty papers and a manual. 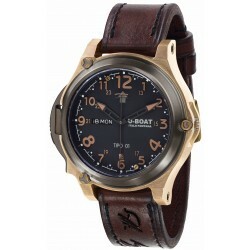 Your watch will be delivered free with insured shipping, but of course you can also pick up at your watch. 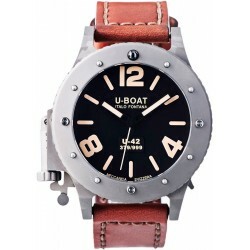 Are you looking for U-Boat watch straps? 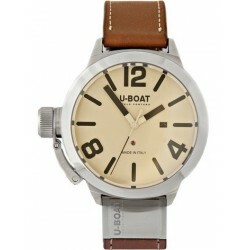 These can, of course, be bought as well with us! 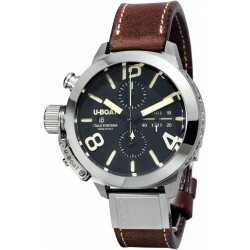 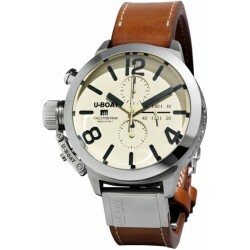 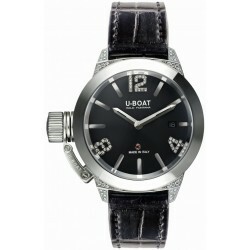 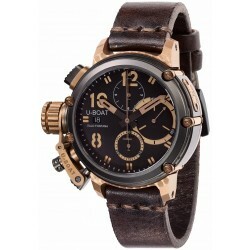 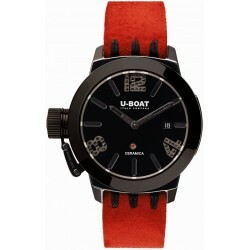 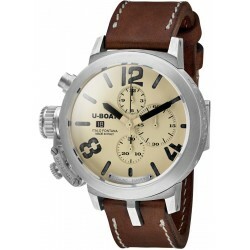 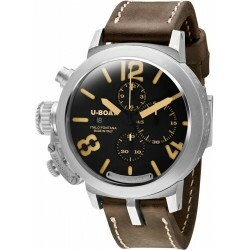 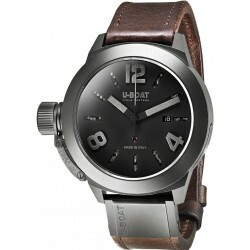 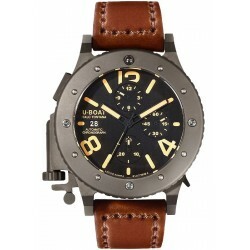 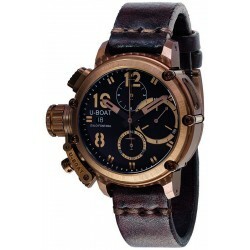 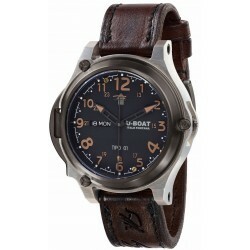 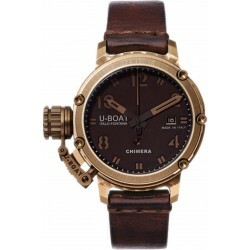 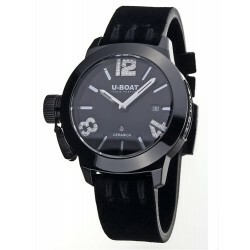 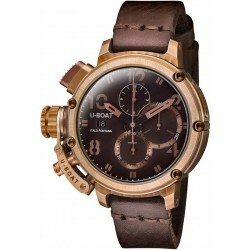 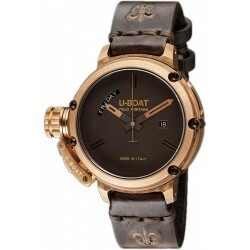 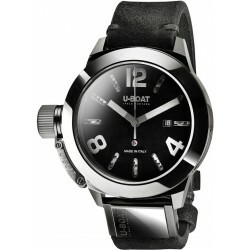 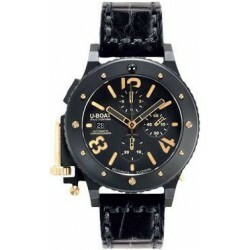 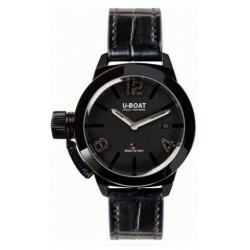 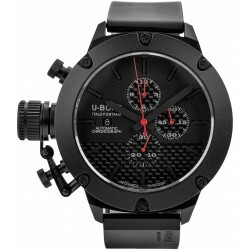 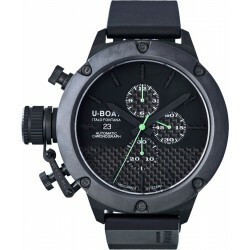 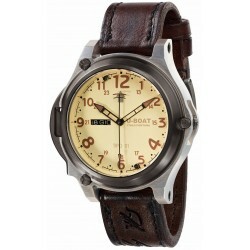 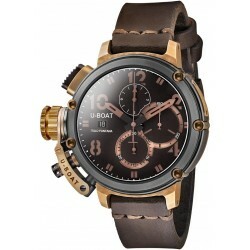 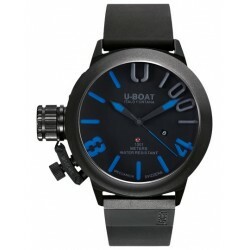 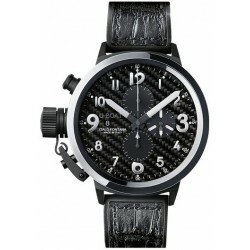 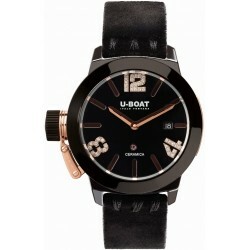 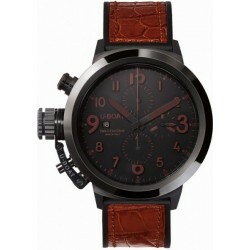 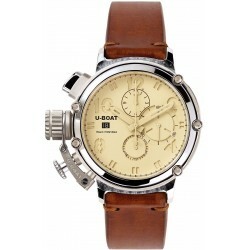 U-Boat watches have a very luxurious and elegant appearance and are also made with high quality and unique materials. 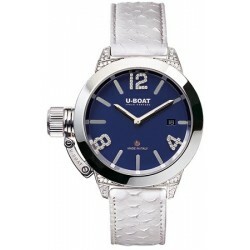 The watches all undergo a process that gives each watch a beautiful and elegant appearance. 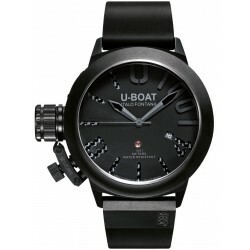 U-Boat watches are designed by Italo Fontana and are handmade to this day, composed of exclusive materials that we would not think to be present in watches, like for example carbon fibres and much more of this kind of materials! 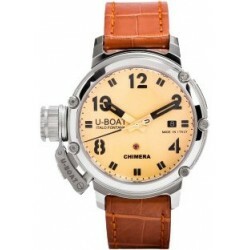 U-Boat watches are well known for their high quality and the Swiss precision that are being used to give the watches their high quality. 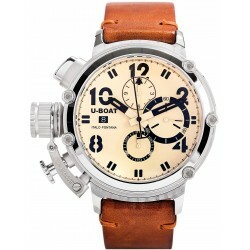 In 1942, Ilvo Fontana (the grandfather of Italo Fontana) already received an order of the Italian marine, to provide the watches of pilots of a new design and new technology. 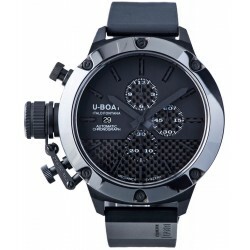 Unfortunately, due to circumstances , this project never continued, but in 2000, Ilvo’s grandson got an insight in the valuable designs of these watches that eventually inspired him to create the first U-boat watch under the slogan “A new dimension in time”. 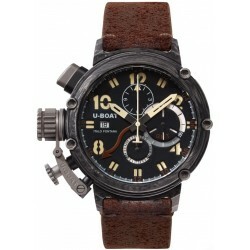 U-boat has produced a large number of collections that all have one thing in common, namely the fact that all of them are hand-made in Italy, and therefore also all have the quality U-boat has to offer. Capsule – Inspired by depth gauges from the 30s. 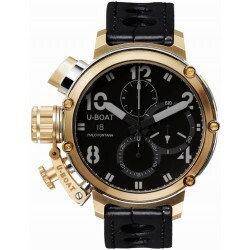 The watch is also known for the patented glass that can be removed without having to remove the main parts. 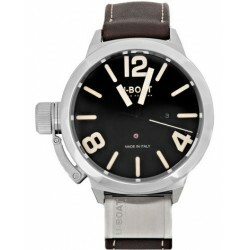 Tipo – The watches have a completely different shape and a patented crown sealing system that can protect the crown from water. 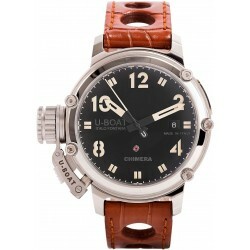 U-42 – UNICUM is a new model with a historic design. 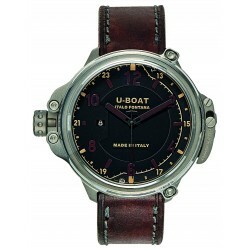 The watches are completely handmade and processed in such a way that all watches are unique. 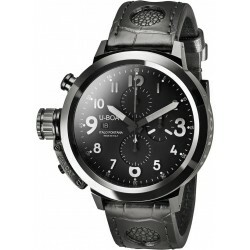 Precious – The precious collection is the most exclusive and luxurious collection the brand can offer. 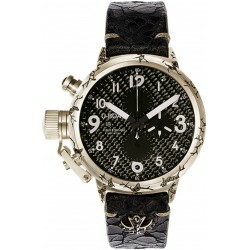 This collection contains watches with diamonds, that are being set by Italian craftsmen. 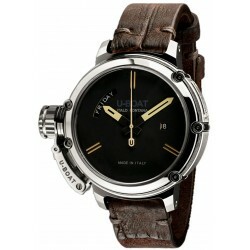 Every watch is unique and shows great character! 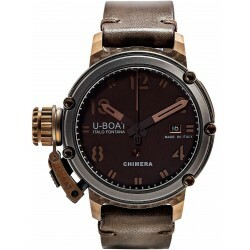 Chimera – The Chimera collection consists of very masculine watches with a vintage character. 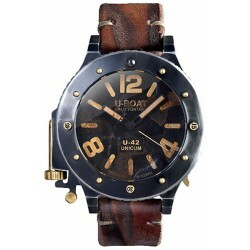 The watches are finished with a beautiful oversized crown and buttons, what gives the watches a strong and robust appearance. Classico – Watches that are being made for both men and women, and fitted with a timeless design which isn’t linked to fashion and trends. 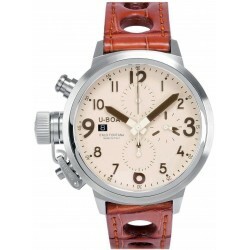 Flightdeck – Italo was inspired by the measuring equipment on aircraft carriers and fighter planes, and translated this inspiration in the Flightdeck collection. 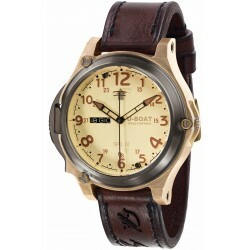 The result is bold but yet elegant retro watches. 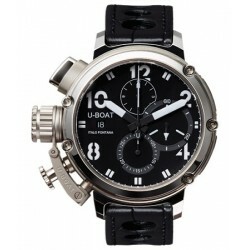 SignStimepieces sells only original U-Boat watches that come with warranty papers, a U-Boat watchbox and of course our standard 2 year warranty. 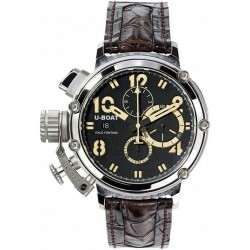 We deliver the watch free and insured, and also you offer the opportunity to personally pick up the watch.